A wide spectrum of current and voltage transformers are used for various requirements in electrical power engineering. 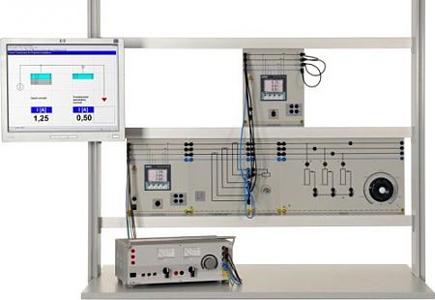 The experiments include a practical hands-on investigation of transfer response, over-current factor, absolute and phase angle error, as, for example, under varying loads. In addition to this, standard operation requirements, short-circuit and asymmetrical faults can also be explored.